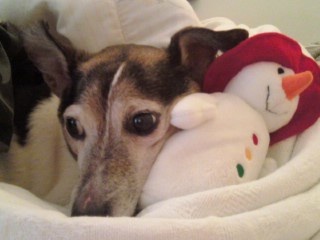 This is my 17 year old JRT and his Christmas pillow that he adores. 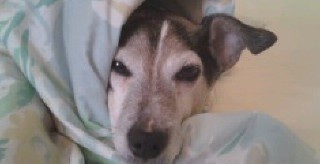 I adopted Jake 16 years ago from a JRT rescue in Tempe Arizona. My bond with Jake is like no other I have had. He has taught me so much and has given me so much love. I feel really blessed that i have been able to share my life with him for so many years. Hello Lesli, I hope you have many years ahead with your sweet Jake. 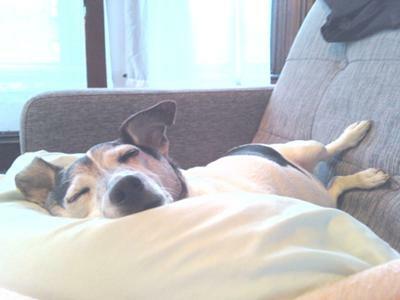 JRT are the best dogs you can wish for. I have one by myself and I hope he reaches Jakes age. He is now around 3, I dont know exactly because he is a rescue like yours. But he is full of fun, he loves his ball. I wish you and Jake Merry Christmas.